Melasma Cure is possible. What is Melasma anyway? Melasma is a skin condition that is common amongst females largely between the ages of 20 and 50. These are grey, brown and tan patches or spots on the face, predominantly on the forehead, cheeks, and chin. It is thought to be produced or triggered by everyday exposure to the sun and can be caused by hormonal events like pregnancy as well as hormone treatments. It is a kind of hyperpigmentation that brings about production of too much pigment. Melasma is also known as The Mask of Pregnancy and Chloasma. Melasma, though harmless, can be a reason for embarrassment and stress, but can be remedied by a few different means. 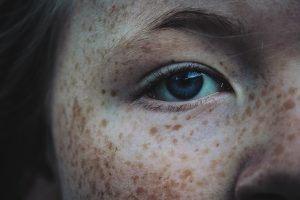 Melasma may look like huge, flat, uneven patches on numerous areas on the face, or they may also appear as freckle-like spots that are known as macules. You may find them on the nose bridge, above the upper lip, on the cheeks, chin, and forehead and at times on the neck and forearms. Melasma is merely an excessive quantity of dark pigmentation. There are no bodily afflictions connected with the Melasma further than the cosmetic symptoms. Who Are Prone To Melasma? Majority of melisma cases occur in women most probably because progesterone plays immense part with the beginning of the skin condition. Women who are of child-bearing years are greatly and usually affected, though only a number of melisma cases occur in men. Melasma frequently emerge in the later trimesters of pregnancy, in addition to women who are going through therapy on hormone replacement, those who are taking contraceptives orally, and those who are excessively exposed to the sun. Those who are prone to melasma are of Latin or Asian descent as well as those with olive-colored skin like the Hispanics and Middle-Eastern descent. People with thyroid problems are also identified to have a greater occurrence of melasma. Because of the apparent attributes of melasma, detecting it is fairly uncomplicated for doctors. Typically, a diagnosis can be completed visually. In some cases, the doctor may request or order a skin biopsy to verify a melasma diagnosis as well as to dismiss other conditions that may imitate melisma like Actinic lichen planus, Hydroquinone-induced exogenous ochronosis and Postinflammatory hyperpigmentation (PIH). It can likewise be detected with the aid of a Wood’s Lamp, a black light that lets the doctor have a good look of the presence of excess melanin in the epidermis.